SeaWorld San Diego and the bi-national, Imperial Beach-based WILDCOAST conservation organization have formed a partnership to raise awareness of the importance of protecting ocean ecosystems. The new partnership will focus on Marine Protected Areas, or MPAs, of which there are more than 540,000 acres in California. 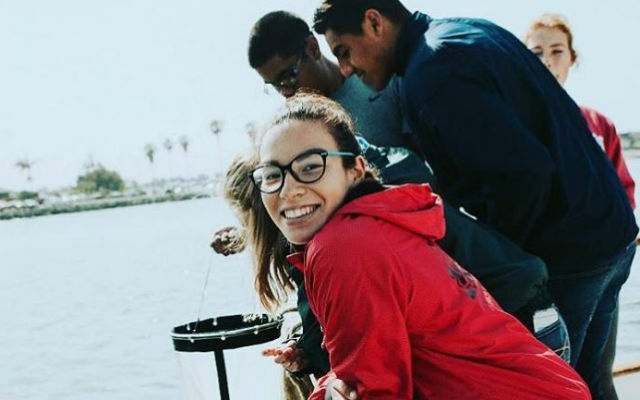 SeaWorld’s support will help more than 200 students take part in WILDCOAST’s Explore My MPA project, in which they learn about MPAs in the classroom and field, learn to be citizen scientists, and carry out ocean monitoring activities. The theme park also is leveraging interest in its new roller coaster, the Electric Eel, to significantly increase awareness of MPAs. Signage that highlights San Diego County’s MPAs will be installed at the attraction for millions of park guests to see every year. In addition, SeaWorld pass members will be specifically invited to participate in the “MPA Watch” training to become citizen scientists. WILCOAST, whose co-founder and executive director is Imperial Beach Mayor Serge Dedina, was created as a community-based organization committed to conserving and sustaining coastal and marine ecosystems and wildlife.